Welcome to Dr B Smiles Orthodontics! At Dr. B Smiles Orthodontics, my team and I are committed to creating beautiful smiles in a warm, friendly and fun environment. Our A+ service can be seen from the very beginning at your complimentary consultation. We will discuss a customized treatment plan that’s just right for you as well as a financial plan that will work with your budget. Feel free to look around our website for more information about braces, Invisalign and our practice. My eight year old son is a patient at Dr. B Smiles. Everyone we have encountered at this office, from the front desk to the dental assistants to Dr. B himself have all been wonderful with him. The office makes it a fun place to come, I only wish there was a place like this when I had braces! Great office and staff! Very friendly and never have to wait. Kids love the iPads and opportunity to win rewards. From the moment you walk in, you feel welcome and comfortable. There is always a fun new contest waiting for you. There are cookies too! Dr. B and his staff are so nice and I never have to wait long. It is a happy place! I was excited to get my new braces. Dr. B and the awesome assistants were fun and fast at getting me set up in my new Mets color braces. They look awesome! My daughter Tania was in today to have her braces put on. Thanks to your wonderful, always smiling and extremely competent staff—any fears she had going in were soon gone. She left with a big smile on her face. I know we are in good hands and she is happy, what more could I ask for? Thank you! Dr. B and the staff are easily the most courteous, professional staff we’ve dealt with! 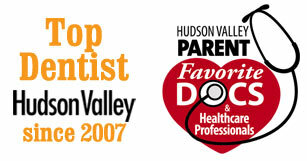 Dr. B’s is the best orthodontist office around! Everyone is super friendly, they have great waiting rooms, and you can have hot chocolate! Nick had a great experience getting his braces on today. The office and staff are very nice and efficient. I know we made the right choosing Dr. B! Take a peek at a day in the life at Dr. B’s office! From our fresh baked chocolate chip cookies, to our morning huddle and seeing our wonderful patients—you can get an inside look of our exciting practice! (845) 297-4075. At Bonavoglia Orthodontics, we look forward to seeing you smile!